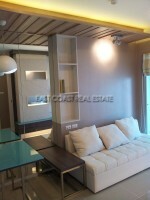 The Venetian Signature Condo is located in Na-Jomtien only 500 meters to the beach. It is close to shopping, restaurants, nightlife, several golf courses and the beautiful Jomtien beach. This 32 sq.m. 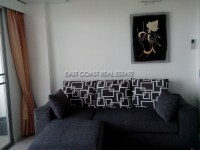 1 bedroom on 5th floor is available for rent fully furnished. It includes a flat screen TV, European kitchen, bathroom with hot water shower and balcony. The building has clock tower, clubhouse, 3,000 sq.m tropical pool with sand beach, a children's pool, fully equipped fitness center, restaurant-bar, laundry and house keeping service, 24/7 reception service in each building, security guards, key-card access, CCTV, free WiFi and ample parking.